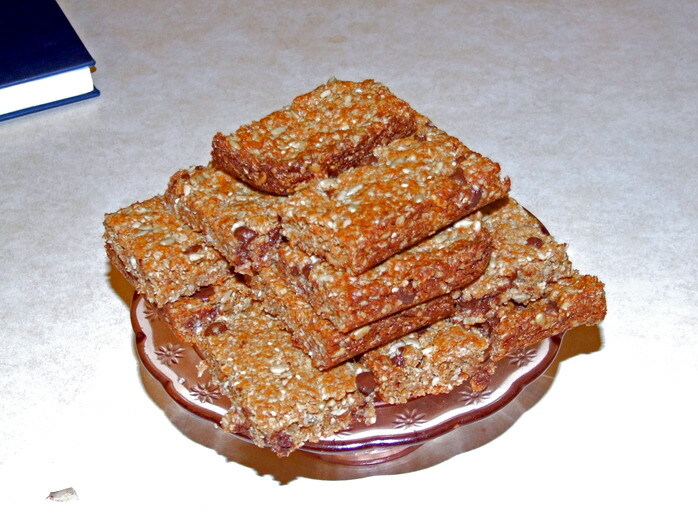 Made a batch of granola bars last night using a recipe from AllRecipes.com. Josh’s mom gave me a recipe for amazing granola, actually Josh craves it. That one I am a pro at now. The goal is to combine that recipe with once for bars. The problem is that with the process it takes to make the cereal type it is not possible. So I am starting from scratch, mastering the bars and then working on a good middle ground. This is the second attempt at this recipe. They turned out well however, they are peanut butter flavored (not a fav of Josh) and not sweet enough for me. I am going to try to use some cranberries, walnuts and honey in the next batch. Now for the random fun! Saw this posted on a blog this morning and loved it. They saying is cute but all in all I think the shirts design is very chic.